Pierre David, 1st son and 1st child of Jean Pierre David and Marie Magdelaine Monmellian, was born about 1718. The exact date and place of Pierre's birth is unknown at this time. However, a primary source burial record, archived at the Archives Canada France and the Archives Nationale de France, which documents his date of death on 29 January 1730 at the age of 11, coincides with his approximate birth year. As for his place of birth, Pierre was born somewhere between Québec City, Acadie and the Fortress of Louisbourg on Île Royale. Very little is known of Pierre's brief life for only 1 primary source record, his burial record in 1730, has been uncovered which lists his name. Pierre's name is also listed within 2 Fortress of Louisbourg secondary source abstract documents, a Family Reconstitution File and a Historical Memoranda of his father, Jean David. In addition, the Louisbourg 1724 and 1726 Census records indirectly indicate his presence in Louisbourg for those years. Pierre's presence in Louisbourg is indirectly recorded in the Louisbourg 1724 Census which lists his father, Jean David dit Saint Michel of Nantes, a blacksmith, a wife, Marie Magdelaine Monmellian, 3 sons under 15, Pierre, Michel and Jean Jacques and 2 daughters, Magdeleine and Marie Josephe. 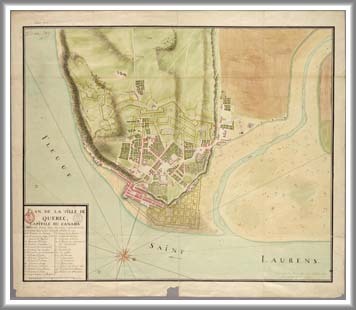 In addition, the Louisbourg 1726 Census which also indirectly includes Pierre continues to coincide with the Louisbourg 1724 Census with the addition of Pierre's brother, Jean Baptiste David, to the Jean Pierre and Marie Magdelaine's family on 23 July 1725. On 29 January 1730 at the age of 11 years, Pierre David died and was buried the following day, 30 January 1730, in the Cemetery of the Church Convent and Parish of Louisbourg. The cause of Pierre's death at such a young age is unknown. He would be the 1st of 4 of Jean Pierre and Marie Magdelaine's children to die at a very young age. Fre Zacharie Caradec, Recolet Vicar General, Commissioner Recoleta Missionaries from Brittany and Parish Priest of Louisbourg presided at the burial. Besides what is recorded here, nothing else has yet been uncovered that tell of other life story events during the infant and adolescent years of Pierre David. Pierre's documented presence in Louisbourg is recorded in a Family Reconstitution File of her father, Jean David, which is archived at the Fortress of Louisbourg National Historic Site of Canada. This Family Reconstitution File was abstracted and compiled from primary source documents archived at the Archives of Canadian and the Archives Nationale. Further documented evidence which notates Pierre in Louisbourg during this period has been extracted and compiled from primary source documents into the Fortress of Louisbourg Historical Memoranda Series 1964 to Present H F 25 1989 titled Jean Pierre David dit Saint Michel: Blacksmith authored by Eric Krause of Krause House Info-Research Solutions.